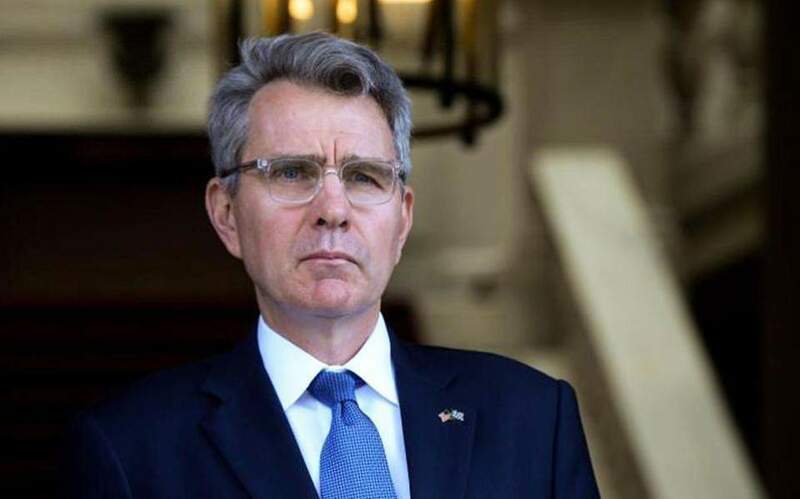 United States Ambassador to Greece Geoffrey Pyatt has extended the country’s condolences over the human loss in Attica’s devastating wildfires that have so far claimed 60 lives. In a tweet Tuesday, Pyatt said Greek Defense Minister Panos Kammenos, who earlier in the day flew over the blighted area east of the Greek capital, had briefed him on the extent of the damage, during a visit at the ministry. Just finished at Hellenic Ministry of Defense, where I offered US condolences on the horrific losses from Attica fires. Minister @PanosKammenos briefed on his survey of affected areas and @Hellenic_MOD actions. @US_EUCOM fully engaged in support.